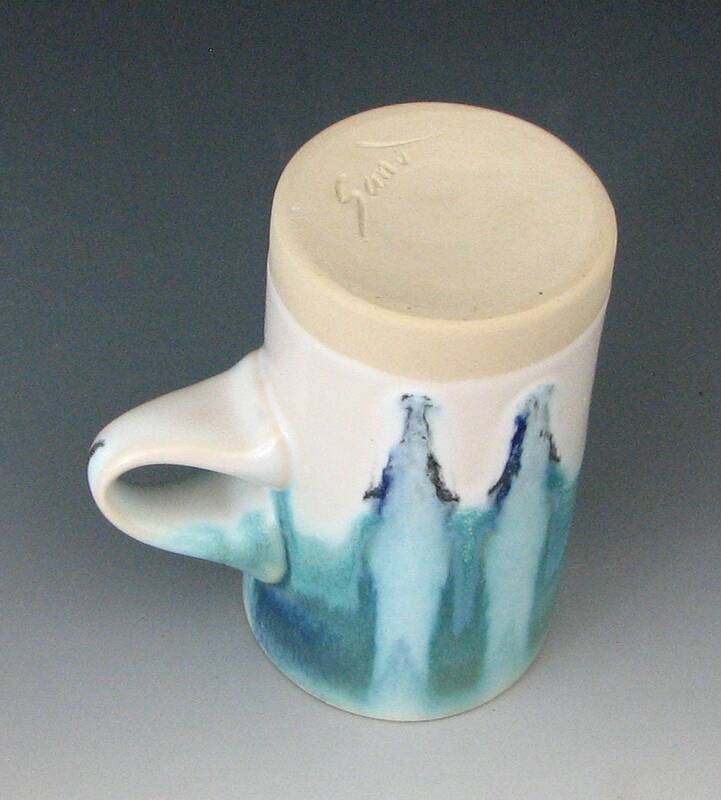 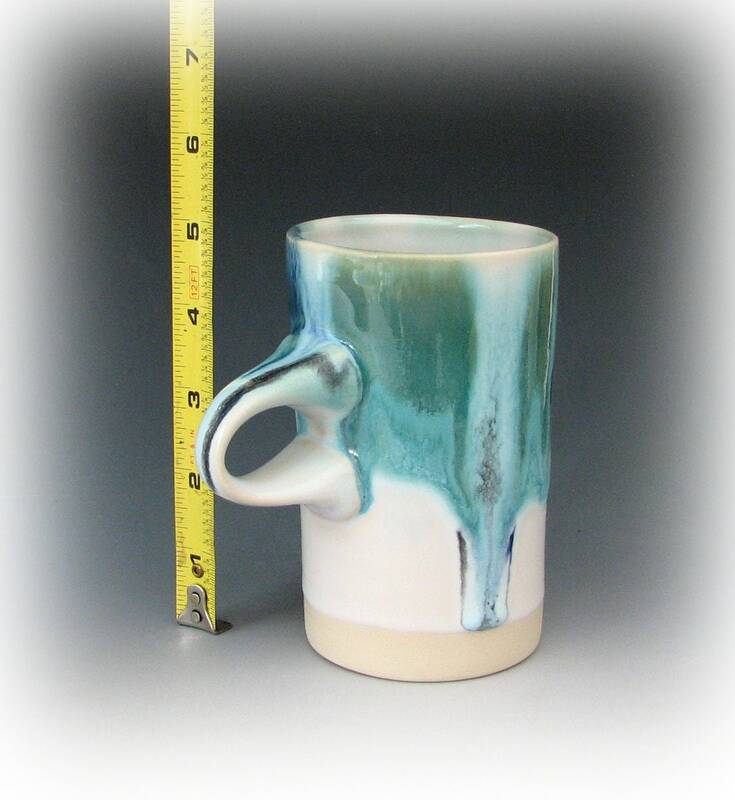 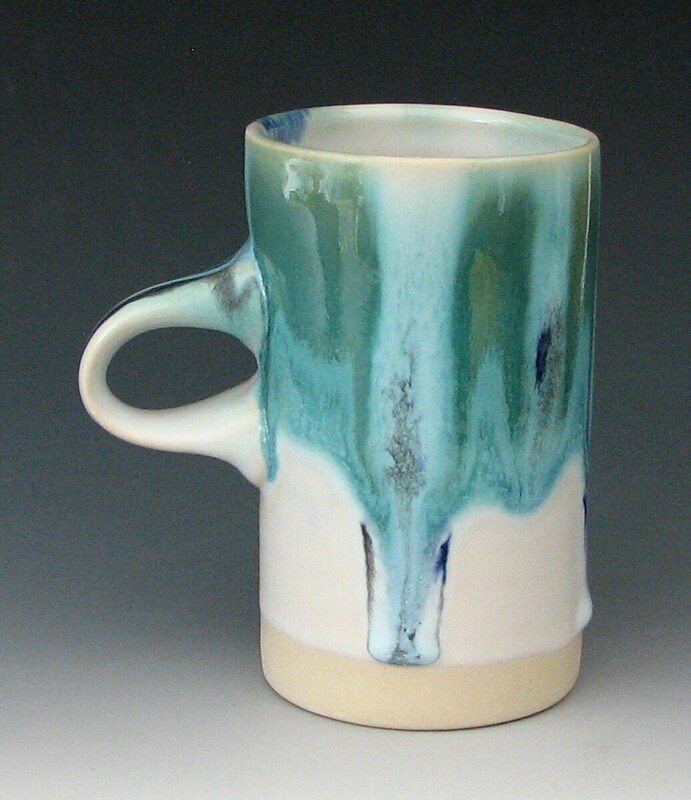 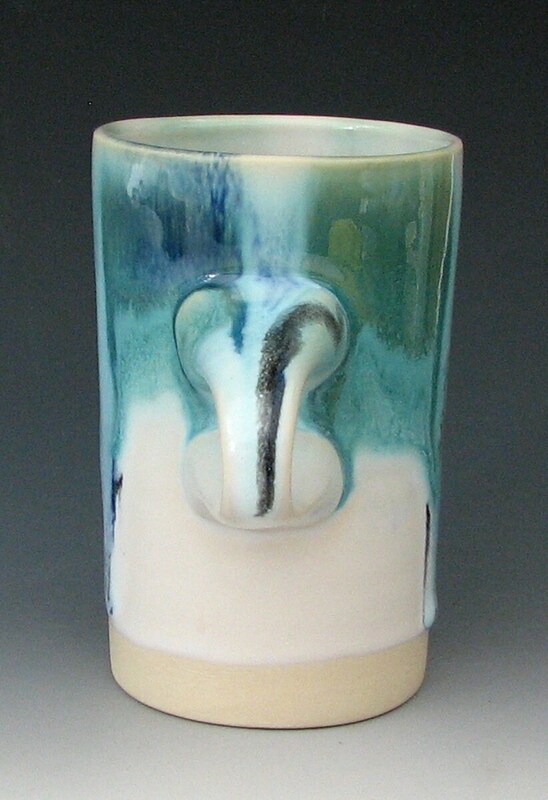 This tall coffee mug was made of white stoneware clay fired to vitrification for strength and durability. 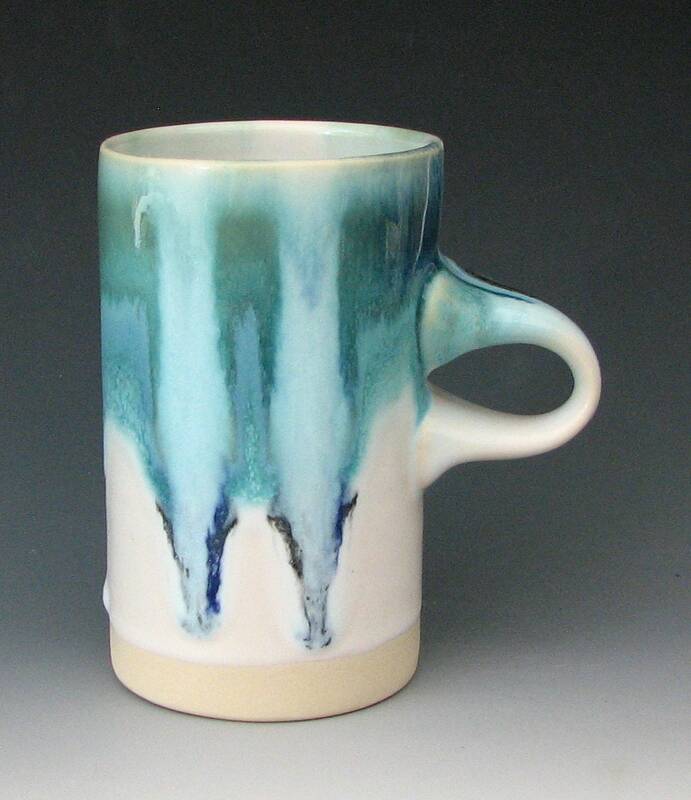 The silky white glaze inside makes it easy to see how much to pour into it. 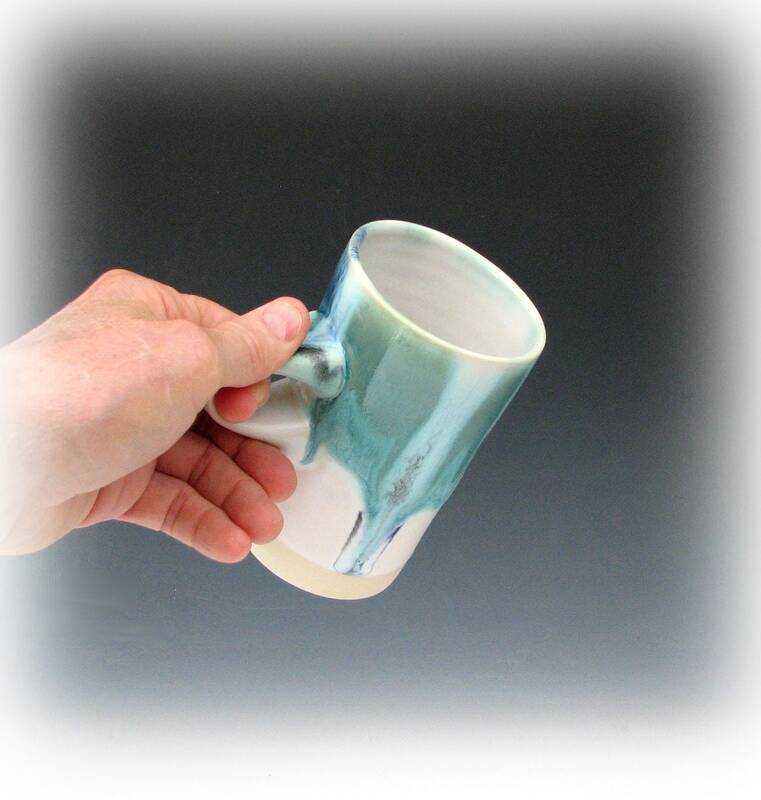 A long heat soak at 2300 degrees allows the glazes time to run, mingle, pool, and produce colors that are varied, rich and complex. 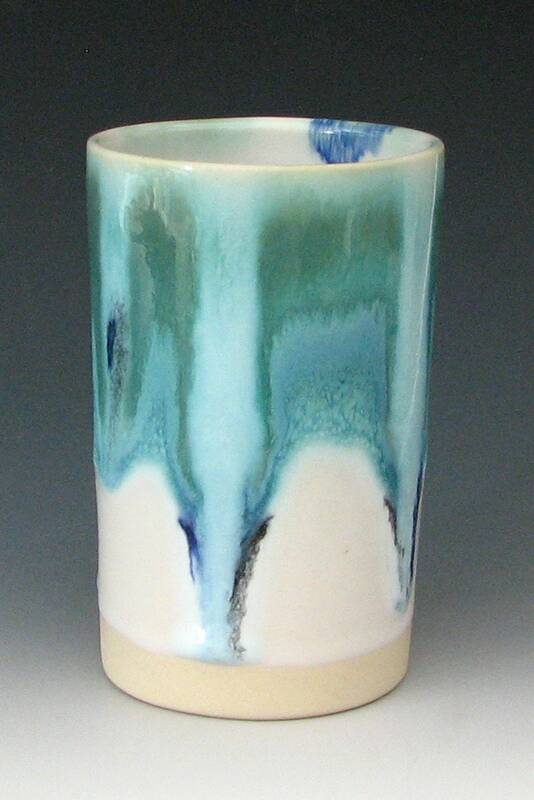 About 5 inches high and about 3 inches wide. 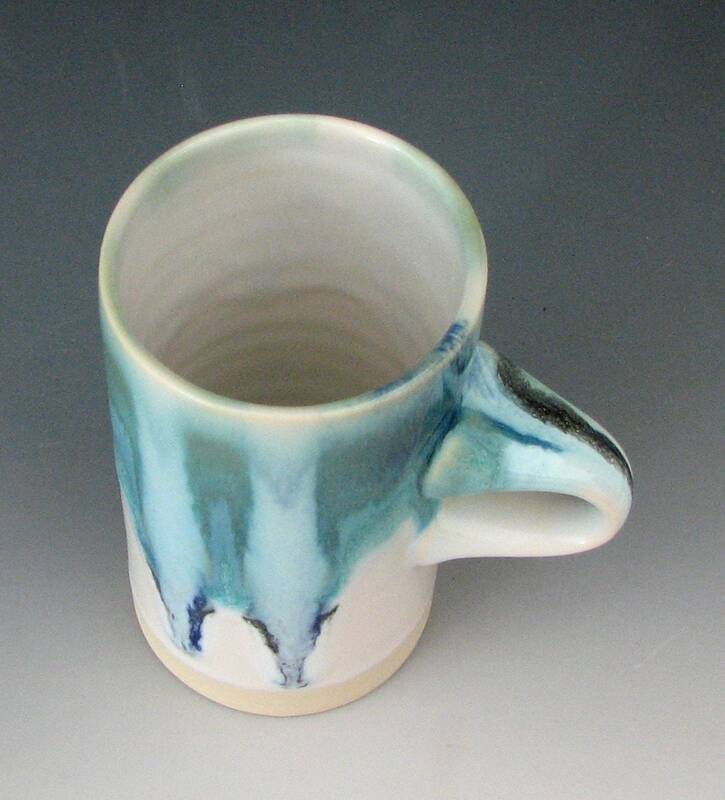 Holds about 1 3/4 cups.